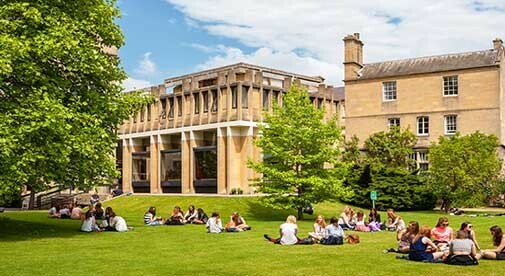 A good university town generally guarantees plenty of culture, from concerts and dance to art exhibits, theatre and lecture series (a great way to practice your foreign-language skills if you’re an expat). Plus, depending on the university, you may even ﬁnd good sports facilities…and a decent local team to support. Thanks to these beneﬁts, university towns can offer you big-city sophistication with small town friendliness and convenience. Read on to discover seven university towns that don’t just offer you a great lifestyle but a lower cost of living, too. About two hours north of Lisbon is Coimbra. The medieval capital for over a hundred years, today it’s famous for its university, one of the oldest in Europe. Coimbra is Portugal’s version of Oxford. The Mondego River runs through this bustling city—in the Beira Litoral province in the centre of the country. Students clad in black cloaks are a regular sight on the steep cobbled lanes running up to the grand university that dominates the riverfront city. 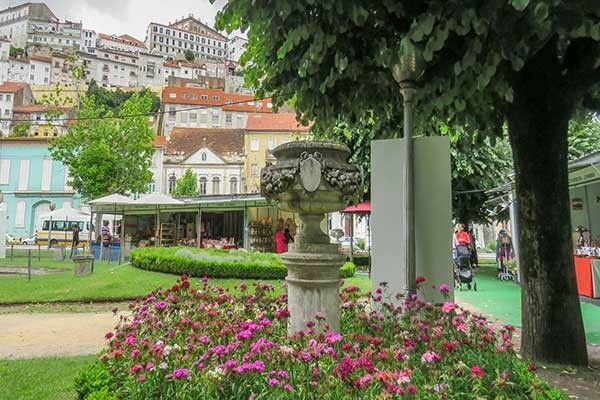 Originally established in Lisbon in 1290, it eventually moved in 1537 to its present location, perched high above the city on the site of a former palace. The University of Coimbra’s Joanine Library is an 18th-century Baroque delight. The three-storey structure’s external walls, almost two metres thick, contribute to a constant room temperature of about 21 C, and help protect the volumes of books that reside there. Also contributing to the effort is a colony of miniature bats living inside the walls. They emerge at night, dining on potential book-destroying insects. Afterwards, explore the nearby Machado de Castro Museum. Housed in the former Bishop’s Palace built in the Middle Ages, the museum sits atop the ancient forum of Aeminium, Coimbra’s Roman name. Art above, ruins below, make for a remarkable experience. Here, a couple could live well on a budget of $3,100 a month, or $37,200 a year. 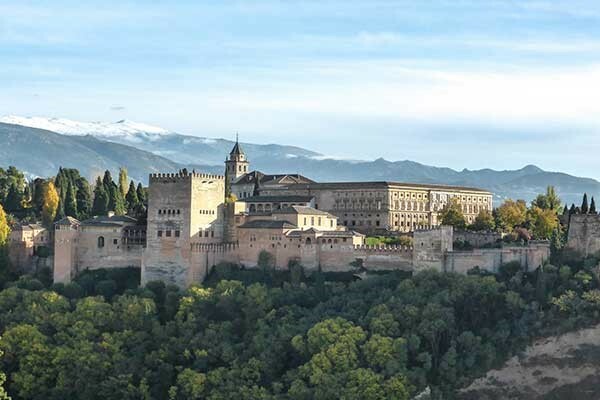 With the thousand-year-old historic Alhambra still looking over and guarding the city, Granada, Spain, has for centuries, been a crossroads of culture and a centre for study, exchange and appreciation of different peoples. Granada is a mid-sized university town, an hour from the Costa del Sol, so the young people make it vibrant, with learning by day and tapas and flamenco dancing at night. The nearly 500-year-old University of Granada plays a major role in the city’s vibe. The university has one of the biggest international student exchange programs in Europe, continuing Granada’s legacy of taking the best of many cultures and creating something new and improved. The university has a main campus, but also has buildings around town. There is a spirit here of learning and exploration of both the greater world and about one’s self, so a common conversation is about what classes people, young and old, are taking, whether Spanish language, art history, cooking or even flamenco dancing. Taking a cue from the city’s emphasis on cultural fusion, the expat community is a thorough mix of people from all over the world who regularly gather with each other and locals, united in a common goal of intermixing cultures rather than standing apart. There are constant meetups, from hiking to biking, to Spanish language development over wine and tapas. On a budget of $3,500, a couple could enjoy tennis regularly and take numerous day trips around the countryside. That is $42,000 a year. Expats have flocked to Cuenca, Ecuador in recent years for its great weather, low cost of living and excellent healthcare. But most people aren’t aware until they arrive that it boasts five universities—along with many Spanish language schools attracting study abroad students from all over the world. Great university towns are known as cultural hubs and artistic centre with a fun, vibrant atmosphere and Cuenca is no exception. 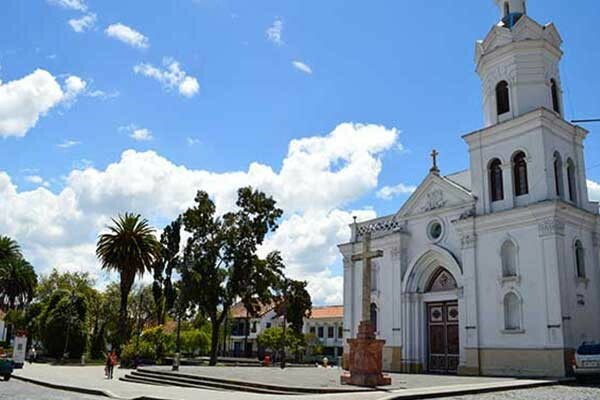 As Ecuador’s third-largest city and the economic centre of the southern sierra, Cuenca is known for rich intellectual, art and a philosophical tradition that matches its colonial architecture. The city is famous for its colourful festivals, distinct food and breathtaking scenery. Because of its history and state of preservation, Cuenca is one of Ecuador’s UNESCO World Heritage Trust sites. This university town packs a lot of appeal—temperate climate, antiquity and cultural amenities—for a modest monthly budget that allows retirees to enjoy it all. A couple could live a good life in Cuenca on $2,370 a month, or $28,440 a year. Moving to a new place, especially to a completely new country, can be challenging. But, if your new residence is in Bordeaux, consider yourself lucky. 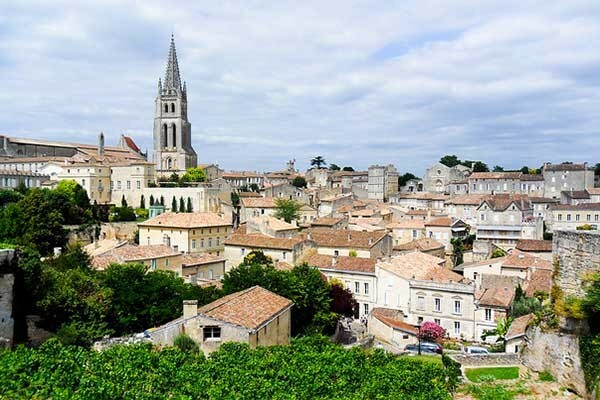 Located just a few miles from the Atlantic Ocean, in a picturesque part of France, Bordeaux is well-known for its high standard of living, beautiful surroundings and friendly locals. As a university town, Bordeaux has a lot to offer and residents are accustomed to greeting foreigners into their hometown and their workforce. The University of Bordeaux is composed of several different institutions. The most notable are the College of Science and Technology and the Institute of Vine and Wine Science, both offering prolific exchange programs. A significant contingent of foreign students and expats has built a strong multinational community here. Bordeaux is quite lively, with a highly attractive nightlife and cultural scene. The liveliest areas can be found around the city centre and the riverbank. A slew of modern restaurants and bistros, headed by young, ambitious chefs, have popped up throughout the city, putting Bordeaux on France’s gastronomic map. Expat Stewart Richmond says, “A baguette from the artisan boulanger (baker) will set you back $1.85 or you can get one from the supermarket for as little as 70 cents and an excellent bottle of Bordeaux wine for $10. On a budget of $2,445 a month, or $29,340 a year, a couple can enjoy a sophisticated retirement in this ancient city. Bologna is the lively historic capital of northern Italy’s Emilia-Romagna region. This region of Italy stands out for its quality of life and beautiful cities. In recent years Bologna has welcomed a record number of visitors and has become firmly fixed on the map as an expat destination. It boasts the oldest university in the world, top class culinary tradition and a vibrant, liberal-minded character. 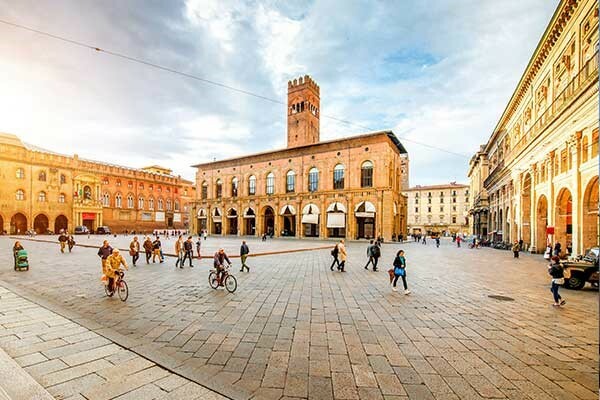 Although one of the wealthiest regions in Italy, offering a great lifestyle, good transportation connections and a rich array of cultural pursuits, life in Bologna doesn’t come with a hefty price tag. A couple can live well here on a monthly budget of $1,680 a month or $20,160 a year. Located in the southern part of Peru, Arequipa is the country’s second largest city. 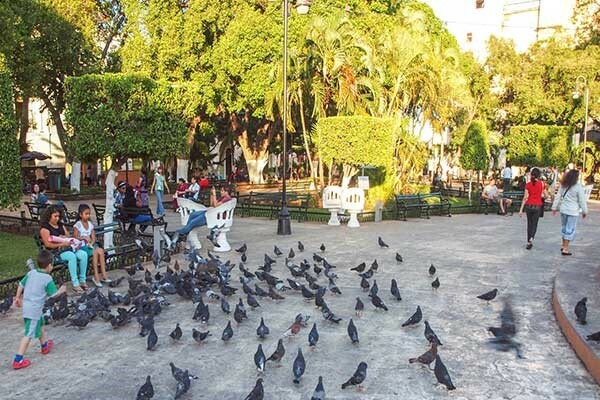 It’s a bustling metropolis with a large and vibrant Spanish colonial quarter at its heart. 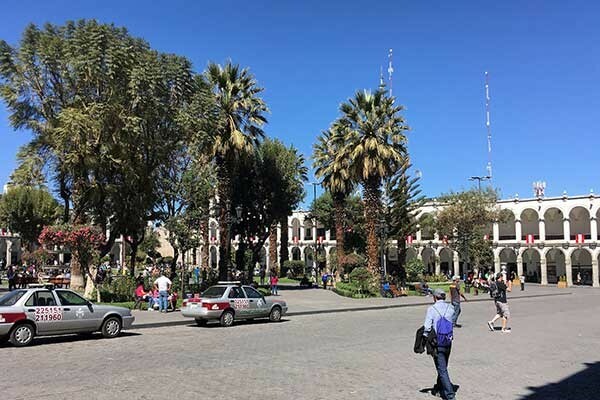 Arequipa has long been a centre of learning in Peru, with many of the country’s most famous intellectual, political and religious figures hailing from the Andean city. The latest batch of aspiring academics help keep this Old World city feeling young and vivacious. The pedestrian-friendly city is considered the best place in the country to purchase traditionally woven Alpaca textiles at bargain prices. Artisans produce fine leather goods, custom made guitars, filigree jewellery and an array of other high quality products. Arequipa’s colonial-era buildings are particularly striking, in that they are made from sillar—a pearly white volcanic rock. They have earned this place the nickname La Ciudad Blanca (“The White City”). Such is its beauty, overlooked by the majestic, seasonally snow-capped El Misti volcano, that it was named a UNESCO World Heritage Site back in 2000. A monthly budget for a couple in Arequipa would run at $2,235 a month, or $26,820 a year. Near the northern coast of Mexico’s Yucatan Peninsula, about 25 kilometres south of the Gulf of Mexico, lies the regal colonial city of Merida. This beautiful, vibrant city offers culture, sports, modern infrastructure, world-class affordable medical care and handy access to the Gulf of Mexico. It’s easy to understand why Merida has long been a favourite of expats. Believed by many historians to be the oldest continually occupied city in the Americas, Merida is a stunningly beautiful city, its rich history on display through its architecture and the strong indigenous influence of its people. A couple could live well on a budget of $2,000 a month or $24,000 a year.